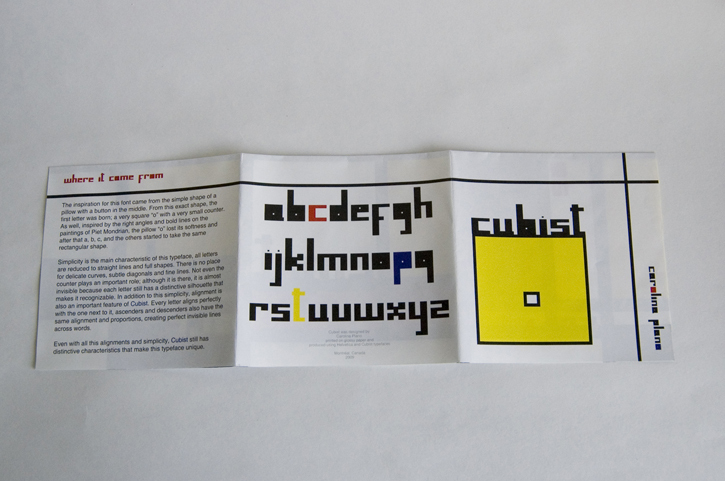 Cubist is an original typeface; blocky and minimalist. 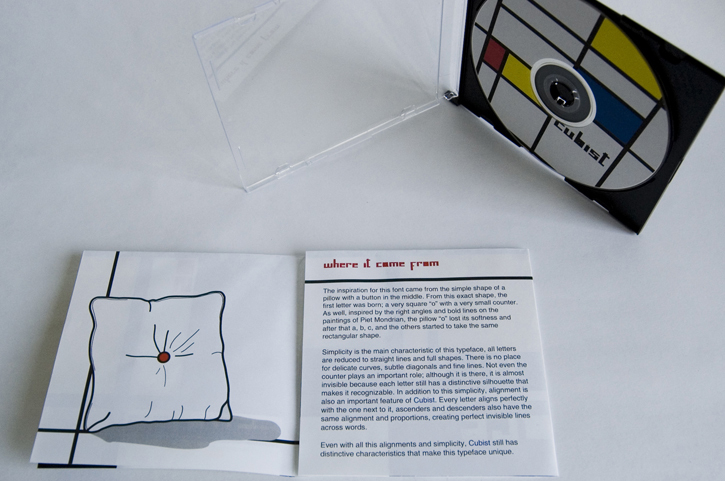 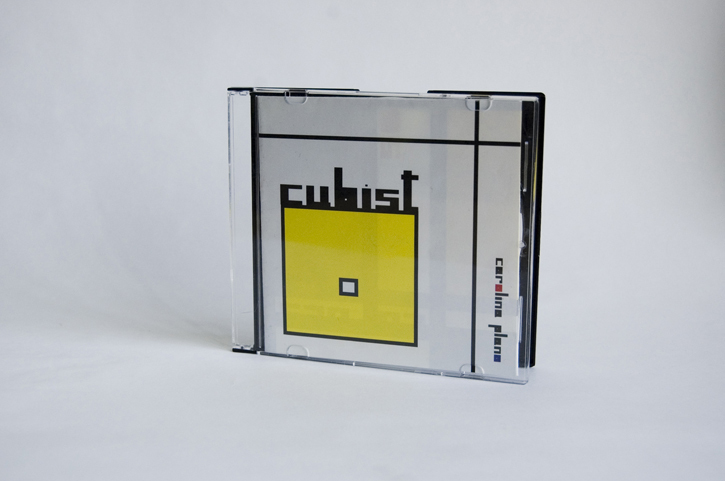 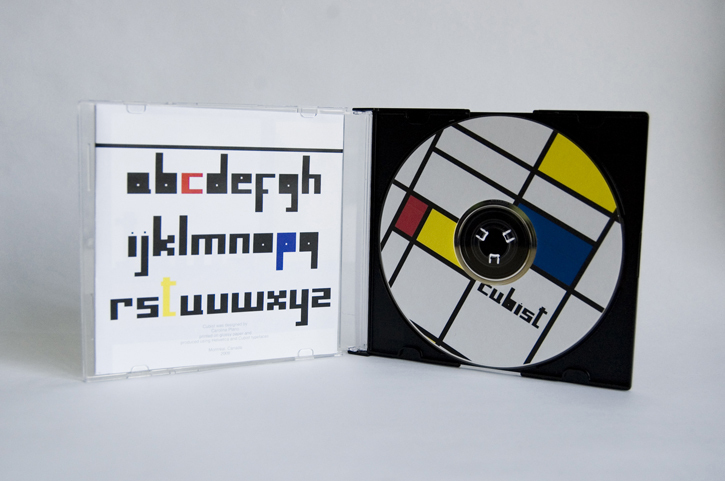 The CD that provides the font and the booklet that presents it were inspired by the art of Piet Mondrian. 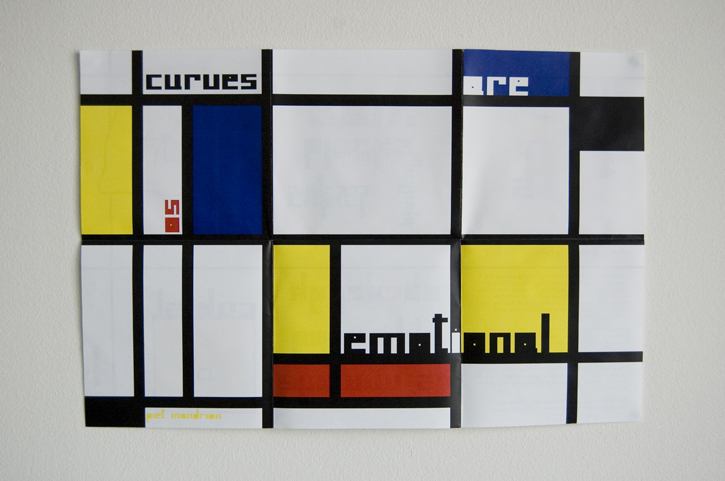 In the back side there is a poster with a quote by the artist, "Curves are so emotional." 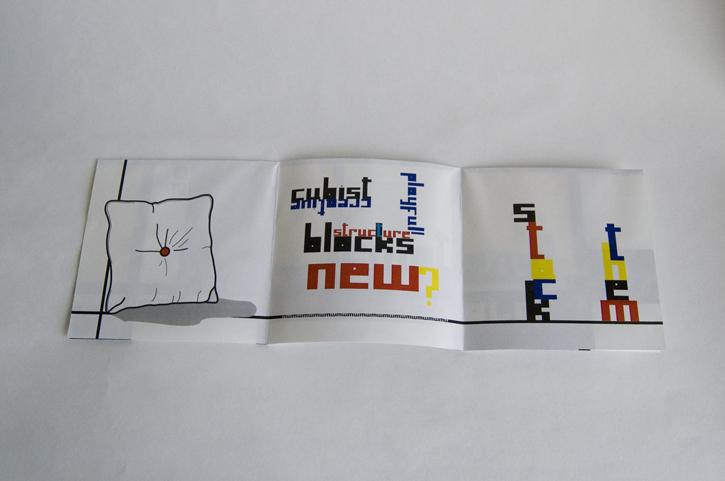 His style and approach reflect well the typeface.